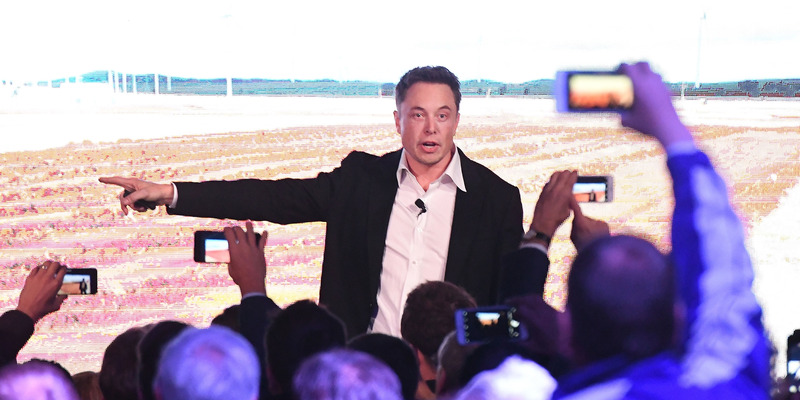 Getty ImagesElon Musk announces a Tesla project in Australia in September 2017. Tesla reported a surprise third-quarter profit of $US2.90 per share on Wednesday. 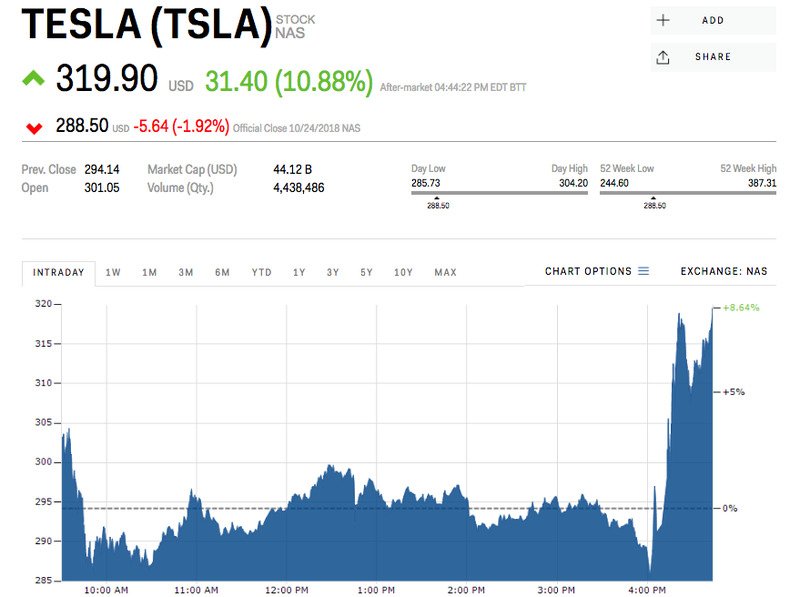 Tesla reported a surprise third-quarter profit on Wednesday that easily surpassed Wall Street’s expectations. Adjusted earnings: $US2.90 per share versus -$US0.15 expected. Revenue: $US6.8 billion versus $US6.3 billion expected. Free cash flow was $US881 million for the quarter, the company said. Total long-term debt also increased slightly, to $US9.67 billion. Tesla said that it produced an average of 4,300 Model 3s a week during the quarter – still below its previous target of 5,000 a week – and that it was accelerating plans to manufacture the sedans in China “in order to significantly increase the affordability.” Those vehicles will be only for Chinese customers, it said. The high price of the Model 3 helped increase Tesla’s gross automotive margin to above 25% from 20% in the previous quarter, but tariffs from President Donald Trump’s ongoing trade war could take a bite out of its margins, the company said. Shares of Tesla spiked as much as 10% in after-hours trading following the release.